Somerset is a beautiful country. Her landscape is ever changing from the broad flat sweeps of the Levels dominated by water to the steep heathery slopes of Exmoor. Ancient, stone farmsteads huddle in valleys choked with woodland and bisected with winding hedgerows laced with hawthorn. Badgers have been part of this world far longer than we can imagine. In Cheddar gorge, there’s a sett that shows signs of continuous habitation for over 50,000 years – that’s way beyond the last Ice Age and long before the first stirrings of agriculture. In those days, they shared their world with cave lions, wolves and bears but those have long gone, gradually exterminated for killing our domestic stock, even us at times and generally taking up too much space. Yet we allowed badgers to remain and they’ve largely kept out of our way. Shy, nocturnal creatures, their setts or latrines are often the only signs of their presence in the day. But this is all about to change as the farming industry has now started its cull of 2,000 badgers Somerset and another 3,000 in Gloucestershire. Shooting began on Monday, 26th August night. 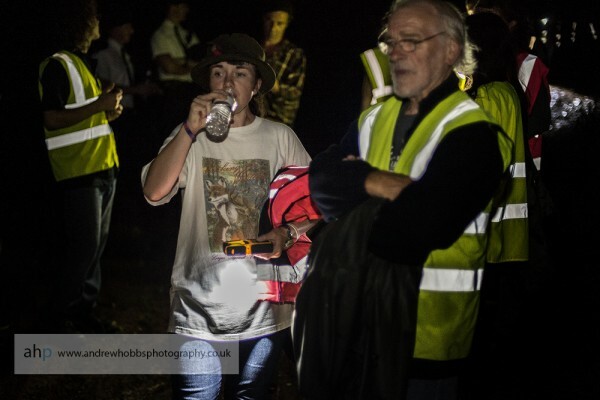 In anticipation of the start of the cull, concerned members of the public and local badger groups have set up badger patrols at night to look for wounded badgers that are not killed outright by the first shot. They welcome people of all ages and walking abilities. 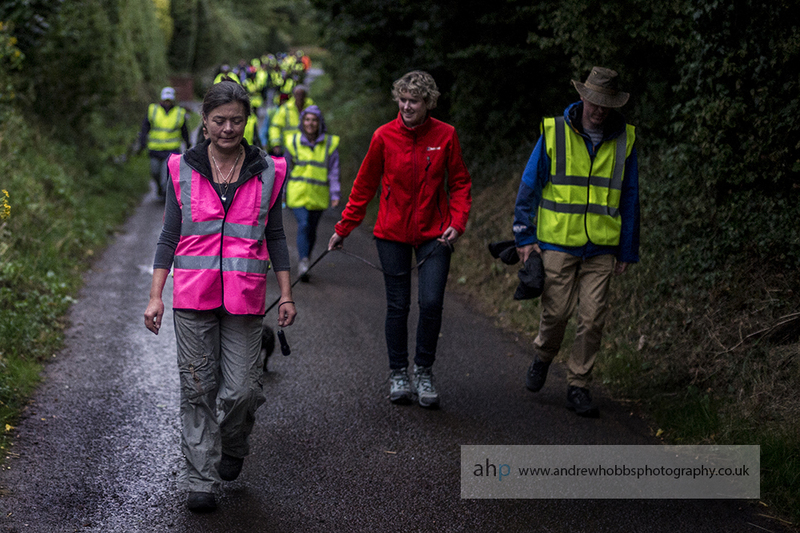 I’ve already been on several with the Somerset Badger Patrol, both before and after the start of the cull. This blog is about the last time I went out, a few evenings before the shooting began. Walking through Somerset at night gives us some clues about the badger’s world. Sight becomes less important and sound takes over. The beauty of the landscape is reduced to the sharp silhouettes of the surrounding hills against a moonlit sky, whilst the hoot of an owl across the valley rings out as clear as a bell. At night, scent is also vital, and though this sense is barely used by us these days, even I could detect the difference between the dampness of the wooded valleys and the sharp whiff of sea breeze blowing across high moorland peaks. The company on these night patrols is also good. I’ve met all sorts of people from widely differing backgrounds. On one walk, a young Italian couple staying near by on holiday came down to offer their support. Horrified by what they’d picked up in the papers, they wanted to know more about why the cull was happening. Their questions were difficult to answer. So many queries on the likely costs and economic benefits of the badger culls remain unanswered by Ministers. As do questions on how the Government will assess whether shooting free-roaming badgers is humane. I also met an older man, who had travelled up from Exeter to join us. Shocked by witnessing his local farmer bulldoze an ancient badger sett into non-existence some years ago, he felt he couldn’t stand by and watch more badgers being killed for no good reason. And that’s the thing. We’ve read the scientific evidence against the cull; we’ve signed the petition, we’ve written to our MPs; and we’ve heard the debates in Parliament. What more can we do? 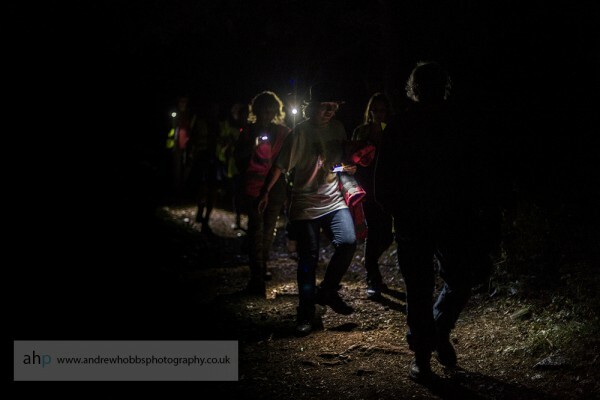 Walking at night during the cull along public footpaths and rights of way is the only thing left for many of us to continue registering our protest. Safety is in numbers and law-abiding action. A protocol, drawn up by wildlife experts, guides the patrols on what to do if they find an injured badger, which includes the patrol organisers liaising closely with the police. Walking through the night world of the countryside is truly a remarkable experience. If nothing else, you can soak up a new array of different scents and sounds and enter, just a little, into the badger’s real world. That was before the shooting began. Now things are a little different in Somerset’s cull zone, but we’ll leave that for another blog. In the meantime, if you’d like to join the night patrols in the pilot cull zones, please contact Somerset Badger Patrol or Gloucestershire Against Badger Shooting.